Given that 90% of strokes is preventable, it is essential to recognize the warning signs and seek for immediate medical help, in order to limit the damage and save the life of the person affected. Continue reading to learn how to predict a stroke by identifying some of the most common early warning symptoms. October 29 has been declared World Stroke Day. The stroke (also known as ischemia/cerebral hemorrhage) has, unluckily, become a common disease, affecting more than 15 million people all over the world and causing 6.7 million deaths, which represents 12% of worldwide deaths. I have decided to deal with this topic, as 3 of my wife’s grandparents died of a stroke. Since then, my wife has always wondered if immediate and proper medical help could have saved their lives. Over the last years more and more people have been affected by stroke, and the onset of this disease is linked to the lowering of the age at which it manifests itself. While the average age at which people are affected by stroke was 69-71, nowadays even people around 50 suffer from it, not to mention some cases of young people and, unluckily, children. Stroke is, then, a disease affecting not only the elderly. A stroke is a medical condition in which poor blood flow to the brain results in cell death. There are two main types of stroke: ischemic, due to lack of blood flow, and hemorrhagic, due to bleeding. They result in part of the brain not functioning properly. 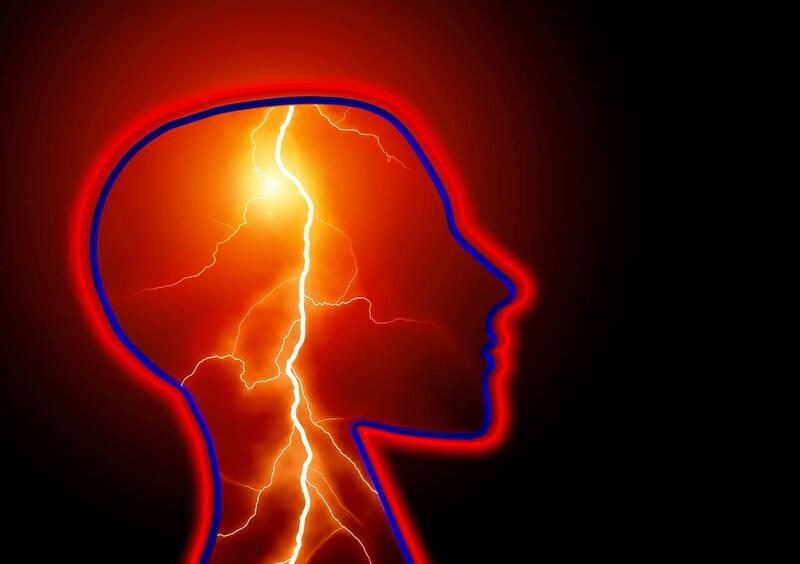 There exists another form of stroke, called transient ischemic attack (TIA): a brief episode of neurological dysfunction caused by loss of blood flow (ischemia) in the brain, without tissue death (infarction). TIAs have the same underlying mechanism as ischemic strokes. Both are caused by a disruption in blood flow to the brain, or cerebral blood flow (CBF). 40% of people suffering from TIA, are likely to suffer from a stroke in the future. It is of vital importance to seek for medical help in the first few hours following the stroke, in order to restore the oxygenation to the affected areas and prevent neuron death, which may result in serious disability and, in some cases, even death. Among the types of stroke, the ischemic attack is the most common. Since it is referred to as a brain attack, stroke, just like a heart attack, needs immediate medical care, in order to minimize the damage and reduce the risk of disability and even death. Being able to recognize the early symptoms is essential, not only in order to promote the chance of recovery, but also to save your own life and the life of a beloved person. sudden severe headache, with nausea, vomiting and loss of consciousness. partial or total loss of sensibility in one arm/leg on the same side of the body. We all should use F.A.S.T. 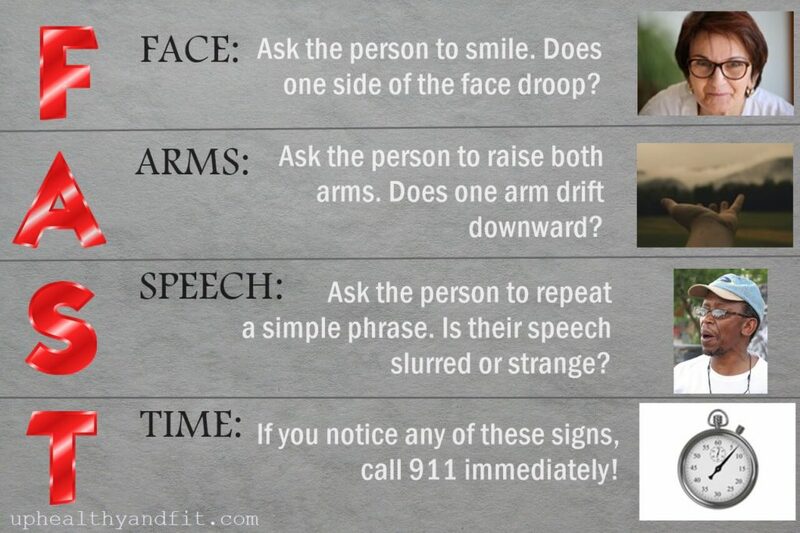 to remember and identify the early warning signs of a stroke. Stroke is a medical emergency, be it TIA, ischemia or hemorrhage. repeat a simple phrase, to check if the speech is strange. As soon as you have realized it might be a stroke, you must take the person affected to the hospital or call an ambulance right away. From the onset of the very first symptoms, you have 60 minutes to provide with medical assistance and save the life of the person. In fact, within 60 minutes you must arrive at the hospital, where within 3-4 hours, the patient is being given drug therapy (thrombolytics), that, in case of a stroke, breaks up the clot and promotes the chance of recovery by 30 %. In a few cases, within 6 hours surgery is needed to break up the clot (aggressive embolectomy). lie in bed, waiting for the symptoms to disappear spontaneously. call your general practitioner – you MUST call 911 instead or go to the hospital right away. hypercholesterolemia, also called high cholesterol. The best prevention when it comes to a stroke, is to have an active life style, to get rid of bad habits (like smoking and drinking alcohol), opt for a well-balanced diet (less salt, alcohol, fatty foods and red meat, and more omega-3-rich foods, magnesium, potassium, antioxidants, vitamin C, E, B6, B12 and folates) and manage stress properly, since nowadays it seems impossible to avoid it as a whole. Actually, a healthy life style helps to reduce the stroke risk by 80%. Whereas a 30-minute walk a day (at a speedy pace) helps reduce those blood inflammation factors responsible for causing a stroke (C-reactive protein and interleukin 6) and reduce the stroke risk by 50%. Knowing how to predict a stroke by identifying its early warning symptoms can be lifesaving. It is extremely important to be well-informed and everybody should know about the first signs of ischemia/hemorrhage, in order to take prompt action and save their own life or the life of a beloved person. This is really informative and helpful! Although many people are familiar with strokes, proper protocol isn’t always common knowledge. Thanks for sharing your insight. Thank you for such a super informative post, Alessandro. It’s great that you’ve highlighted the do’s and don’ts to follow under such circumstances.